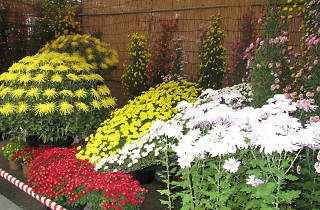 The kiku (chrysanthemum) is not only the ‘royal flower’ of Japan, symbolising the imperial family, but it’s also one of the symbolic flowers of autumn. 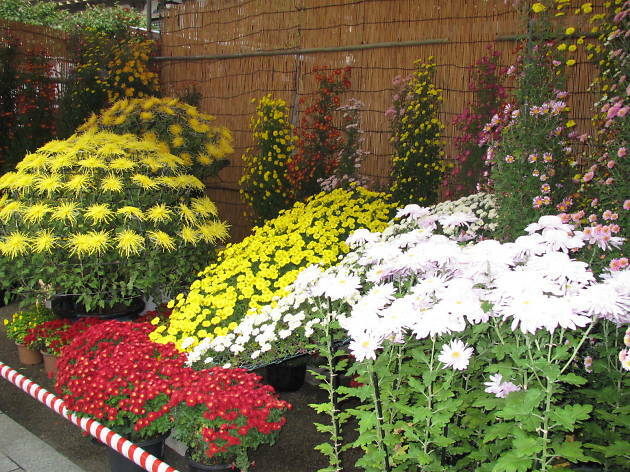 Among other kiku matsuri going on at the moment is this one at Yushima Shrine, where hundreds of chrysanthemum plants of various types are on display in grand configurations. The unique draw here is the display mannequins representing historical figures, as featured in NHK's historical dramas, that are dressed in garments made from chrysanthemums. Unfortunately, there is no evening display available, so be sure to get there before the ever-earlier sunset to enjoy the flowers.